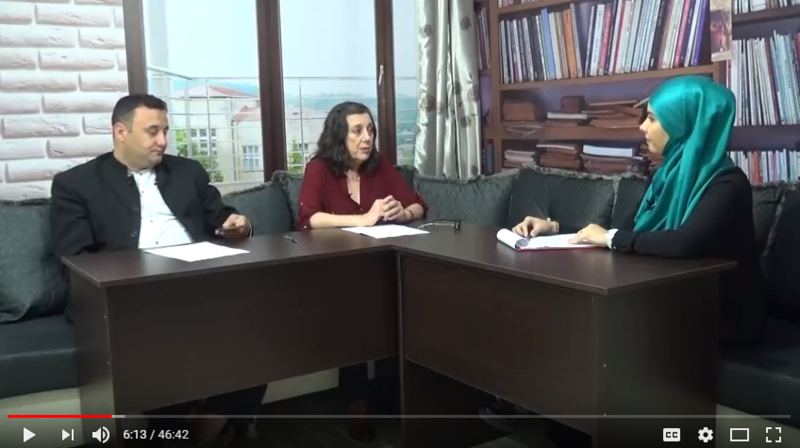 Anne Singleton – Khodabandeh an ex-Iranian mojahedin discusses with Dr. Olsi Jazexhi the presence of the Iranian mojahedin (Mojahedin Khalq: MEK, MKO, NCRI, Rajavi cult) organization in Albania. The discussion is around the MKO, Daesh, FETO and other terrorist organizations that have recruited fighters in the Balkans and have used countries like Albania as a base against Turkey, Iran, Iraq and Syria. They discuss the history of MKO, the process of radicalization, the use of terror as weapon of choice in the Middle East and the reasons why the American government uses terrorism and supports organizations like MKO for its geostrategical interests in the Middle East. They debate the use by MKO of terms like the National Council of Resistance of Iran, democratic opposition of Iran etc to depict itself as a democratic organization, while this organization breaks the laws of Albania and calls for a violent war against a foreign country. The analysts ask why the Albanian government jails and “deradicalises” Albanian Sunni jihadis who want to join the jihad in Syria, but tolerates the Iranian jihadis to call for war against Iran from Albania? Anne Singleton – Khodabandeh nje ish-moxhahedine iraniane diskuton me Dr. Olsi Jazexhi prezencen e xhihadisteve iraniane ne Shqiperi. Diskutimi perqendrohet perreth MKO-se, Daesh-it apo ISIS-it, FETO-s dhe organizatave te tjera terroriste qe kane rekrutuar luftetare ne Ballkan dhe kane perdorur vende sikur Shqiperia si baze per te sulmuar vende sikur Turqia, Irani, Iraku dhe Siria. Diskutohet historia e MKO-se, procesi i radikalizimit, perdorimi i terrorizmit si arme gjeostrategjike ne Lindjen e Mesme, dhe arsyet pse administrata amerikane mbeshtet organizatat sikur MKO per qellimet e saj ne Lindjen e Mesme. Debatohet perdorimi nga MKO i termave sikur the National Council of Resistance of Iran (Keshilli Kombetar i Rezistences ne Iran), opozita demokratike e Iranit etj per ta treguar kete organizate si demokratike, ne nje kohe qe kjo organizate thyen ligjet e Shqiperise dhe ben thirrje per xhihad kunder nje vendi te huaj. Analistet pyesin pse qeveria shqiptare burgos dhe “deradikalizon” shqiptaret myslimane qe flasin per xhihad dhe duan te shkojne ne xhihad ne Siri, por toleron xhihadistet iraniane per te bere thirrje per lufte kunder Iranit nga Shqiperia?